Overhead projectors, microfiche machines and TV/VCR sets: These are just a few audiovisual technologies that are no longer used in schools today. Such outdated technologies simply don’t engage with students in a meaningful way, making it hard for them to retain the information as well as they need to. As consumer reporter John Matarese puts it, today’s students don’t even see these once important technology tools. In their place, pro AV has moved in. Pro AV has the ability to not only meet the needs and expectations of students, but to transform how they learn. When used correctly, pro AV can make learning fun and easy, and it can even translate complex ideas to students in a way that they can understand. Here’s how schools are already using pro AV technology to improve student and teacher experiences — and what opportunities exist for the future. Technology has revolutionized our communication and interactions, so it only makes sense that it should change the way that we learn, too. But there are plenty of integrators who don’t understand how AV systems can align with the goals of schools. So what should integrators be focused on when finding the right systems to pitch? 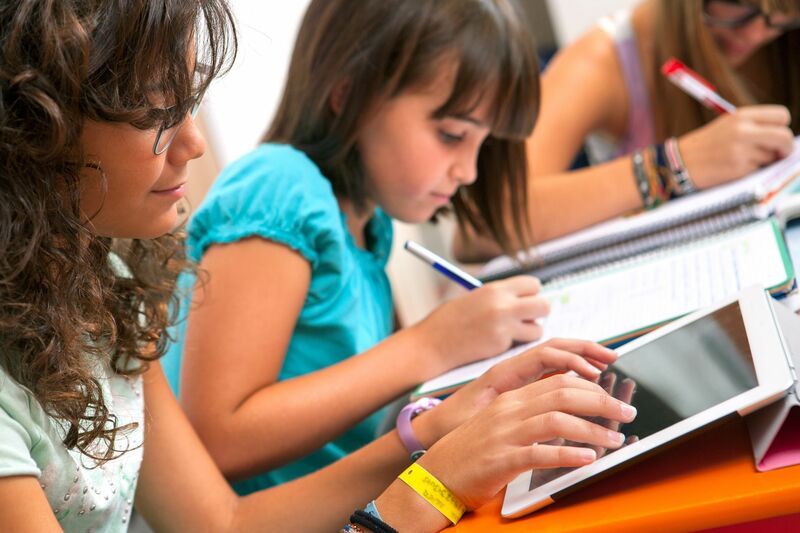 SecurEdge Networks Marketing Manager Danny Mareco notes that technology can be used to encourage collaboration and boost student engagement. Since traditional lectures really only work for auditory learners, pro AV is an important way educators can cater to all learning styles. Video and graphics can engage visual learners, and accompanying audio cues can aid auditory learners. Having the students work together on a visual project can improve their collaboration skills, and the movement involved in collaborating can help keep students engaged. Pro AV equipment can be leveraged to help students with reading in multiple ways. First, projecting words visually on a wall and having a pre-recorded voice follow along can help students who struggle with traditional reading. Video accompaniment can also help make complex reading more manageable and interesting. AV can have many benefits for elementary schools, but integrating pro AV is not always easy. For example, some elementary schools might not have an on-site IT staff, which can prevent important AV advancements from taking place. Moreover, these schools need a system that is simple enough for teachers to learn, but powerful enough to engage the student body. It should also be flexible enough to meet the needs of a wide range of subjects. When these obstacles can be overcome, however, AV over IP can meet the needs of modern educators in ways that traditional AV cannot. For example, schools can use AV over IP to show full video presentations alongside real-time chat feeds. This can then be broadcast across multiple classrooms in a school. AV over IP can also stream media-rich presentations with multi-point attributes, things that traditional bandwidth simply can’t support. In a logistical way, AV over IP is a strong choice for teachers because it reduces the amount of cables needed, which can be very helpful for busy teachers who don’t want to keep track of the extra equipment. It is also fairly easy to update, and requires less replacement than traditional AV. This makes it a good investment for schools that need to make their supplies last. Affordability is one reason why AV over IP works so well in education. It’s also flexible and easy to use, which makes it easier for teachers to transition when they change classrooms or schools. “There are some unique capabilities and potential benefits when streaming video and audio information over the network, such as scalability, reach and flexibility,” says Extron Electronics Vice President Rainer Stiehl. 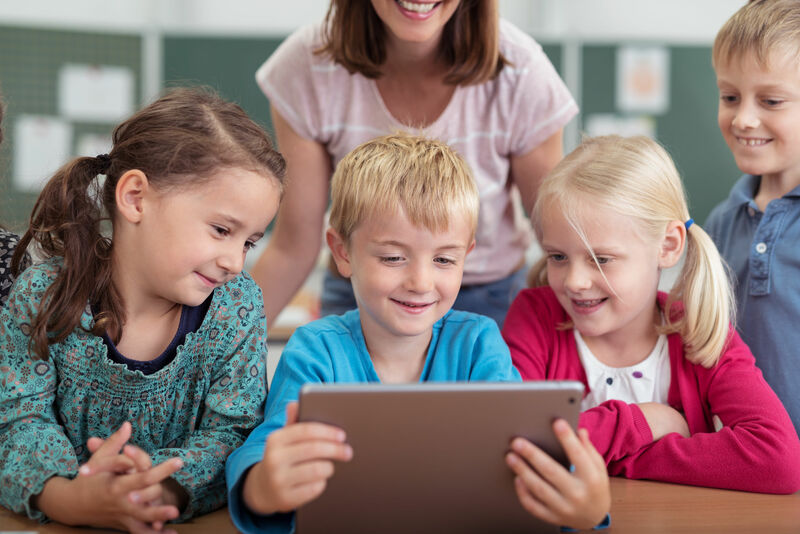 Another benefit of AV over IP for education is that it powers the technology behind multi-touch surfaces, such as digital desks and workstations. Multi-touch surfaces are vital for enabling student collaboration, especially when sharing videos and other virtual tools across the globe, Tufts University’s Stephen Boardman reports. We don’t have to rely on hypothetical situations to see how AV technology is improving the learning experience in schools. That’s because several schools have already used technology to great effect. While AV has been used to great effect to improve learning and teacher experiences, it’s not the only way this technology can create a positive learning environment. For example, IntraLogic Solutions developed an AV and security system to be used in active shooter scenarios, Tom LeBlanc reports in Commercial Integrator. As schools continue to benefit from AV technology integration in a variety of ways, more will follow suit. Like Hudson High School principal Peg Shoemaker points out, pro AV is vital for helping schools and administrators design and deliver rigorous, top-tier learning experiences. AV technology is only getting more prevalent in schools. Grade schools want to be able to engage students on their levels, but integrators need to provide them the tools to do so. This means focusing on what’s really important — the students, and their education. Instead of asking schools to invest in technology that will soon become obsolete, give them a technology that adapts easily to future trends.